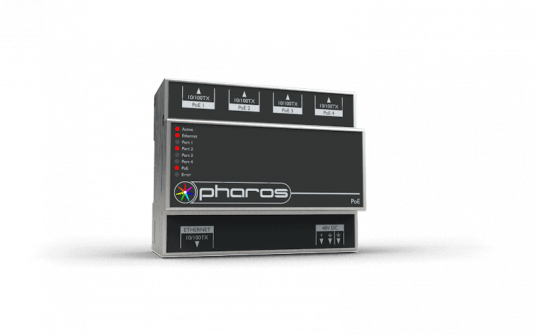 The Pharos POE provides a simple power and networking solution for four Power-over-Ethernet devices with a separate Ethernet uplink port. 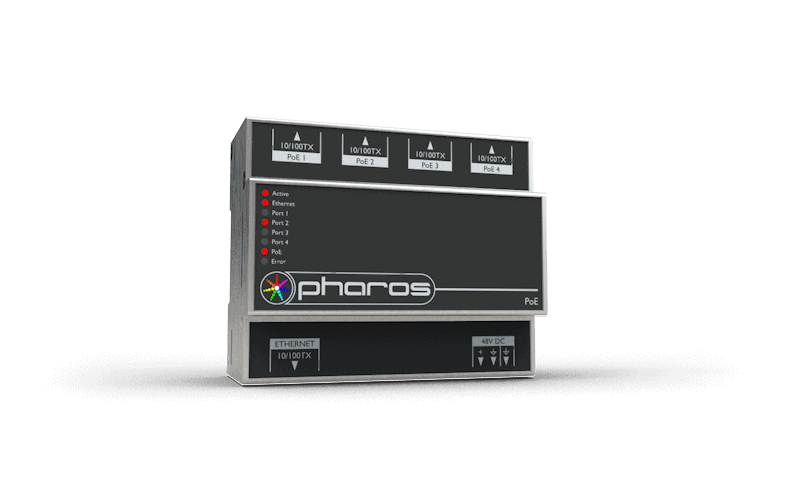 It is perfect for connecting power and data between Pharos Controllers and Pharos Remote Devices. 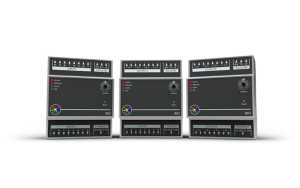 The unmanaged switch has a total of five 10/100Base-TX Ethernet ports with standard RJ45 sockets. 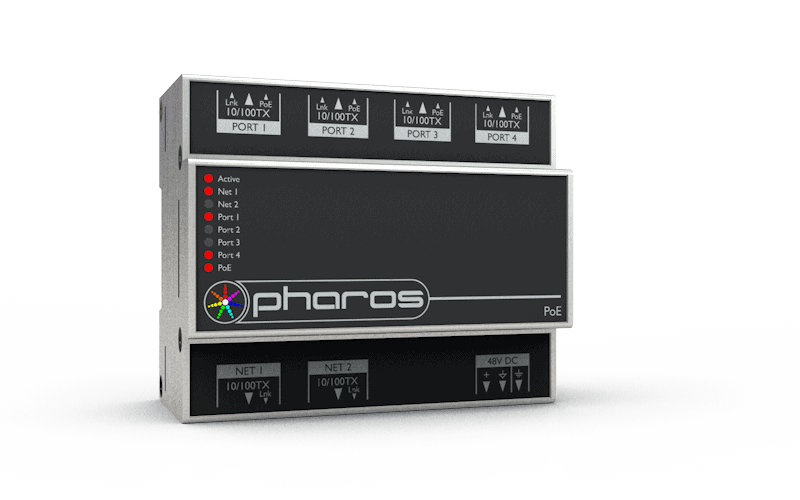 Four are enabled for Power-over-Ethernet while the fifth is allows for connection to a computer or network. 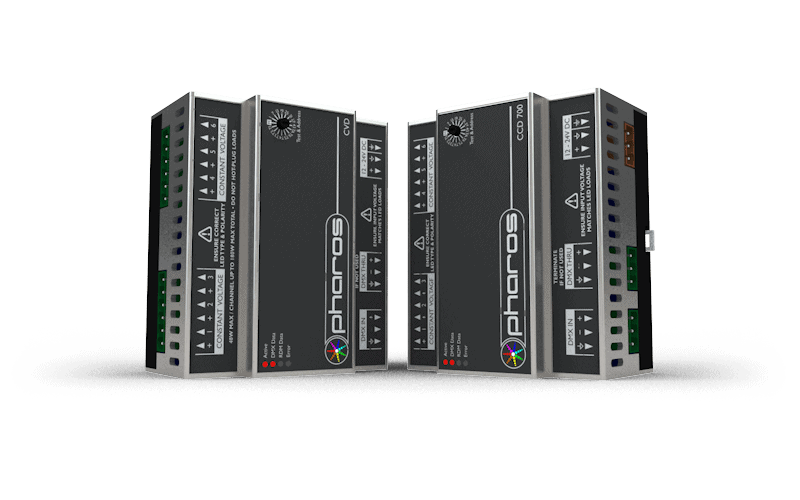 The POE is provided in a rugged DIN rail enclosure with install-friendly connectors. 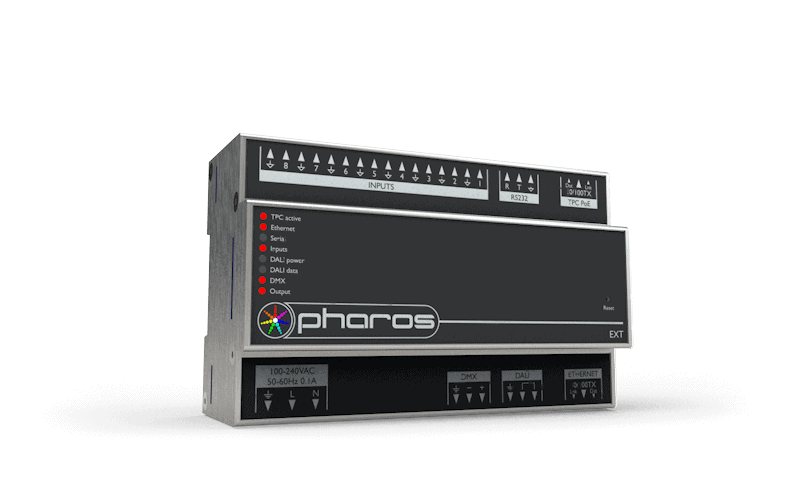 Combine power and data in a single Ethernet cable using PoE (IEEE 802.3af) technology making it easy to locate your Pharos devices where you need them. 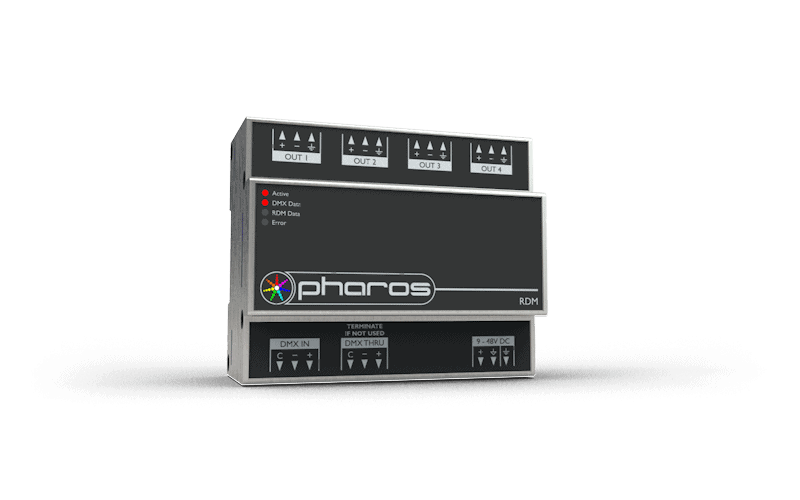 Use four ports to power and connect multiple Pharos Controllers or Remote Devices (or other IEEE 802.3af compliant devices). 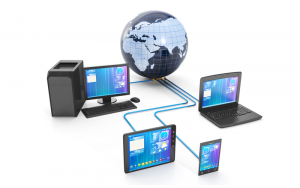 A fifth port (without PoE) is available to connect to your computer or other networks. 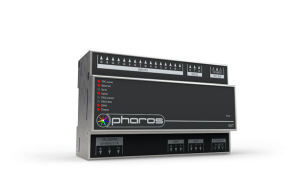 The simple un-managed switch operates out of the box, with no commissioning required. Rugged, compact 6 unit wide DIN rail unit with a solid-state design ensures unparalleled reliability. CE compliant; ETL/cETL listed; California Title 20/24 Compliant. Made for permanent installation, with installer-friendly 0.200” (5.08mm) plug-in rising clamp terminals, a rugged, compact enclosure, and easy DIN rail mounting.